Why Byomic G 114/900 EQ-SKY telescope? 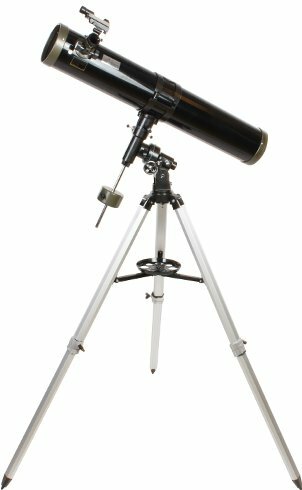 As generations of amateur astronomers started their hobby with a classic Newtonian reflector telescope (or a reflector) such as this telescope, it is safe to say this scope is a trustworthy companion while observing the night sky. 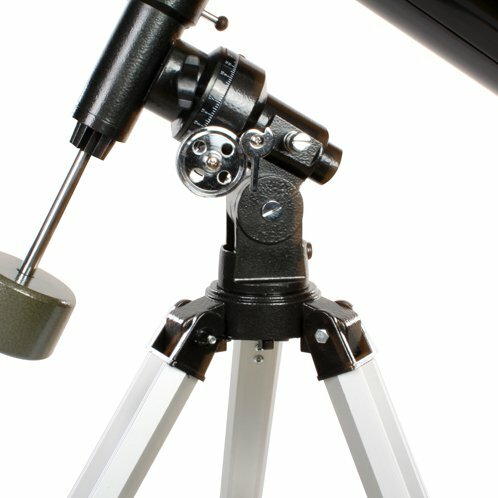 The equatorial mount with only one axis helps in compensating for the rotation of the earth, making the telescope very user-friendly. 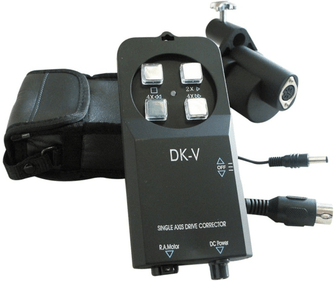 The optional motor-driven system enables you to track the objects without touching the telescope! That's what makes observing with the Byomic G 114/900 EQ-SKY telescope so enjoyable. The 114mm aperture allows you to see details of the large planets and a great view of the Moon. 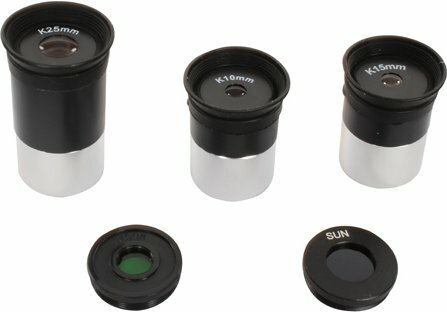 Due to the large focuser you can use accessories with a diameter of 31.7mm. 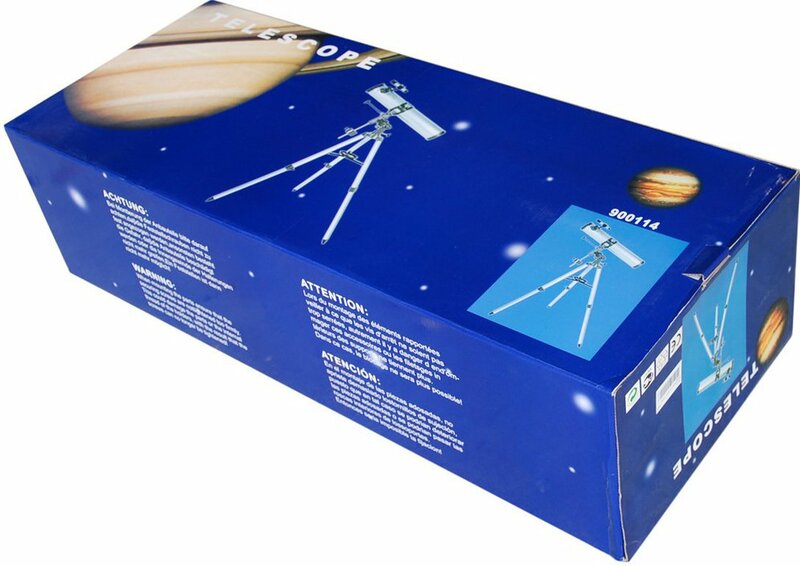 This allows you to really put to good use every possible feature of his telescope. 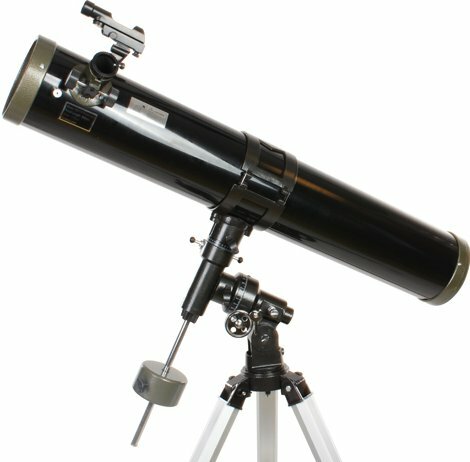 I am very satisfied with the telescope even though a bit of adjustment had to be done beforehand in order to get a sharp image. The description on the website is not entirely accurate. The color is different and the lenses supplied are different as well. On the site it is mentioned as a steel tripod but it is aluminum. This is not a problem for me but it might be for others. A lot of telescope for your money. The led locator is choppy. Tripod legs are a bit too shaky. 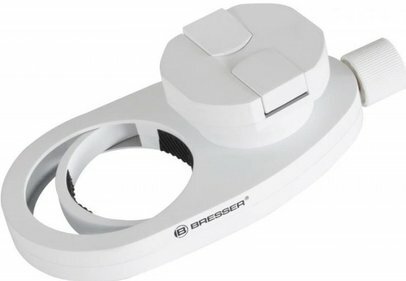 Everything that this device has to offer is perfectly in order for a beginner, it's a shame about the weather conditions this summer. With thanks to you for the perfect arrangement, I can assure you that I will definitely spread the word. Some details on distant planets are not always as clear as can be, but there is a of course to this size and type of telescope.